Arlington resident Jeff Spugnardi’s interest in woodworking began with skateboard ramps he built in grammar school. 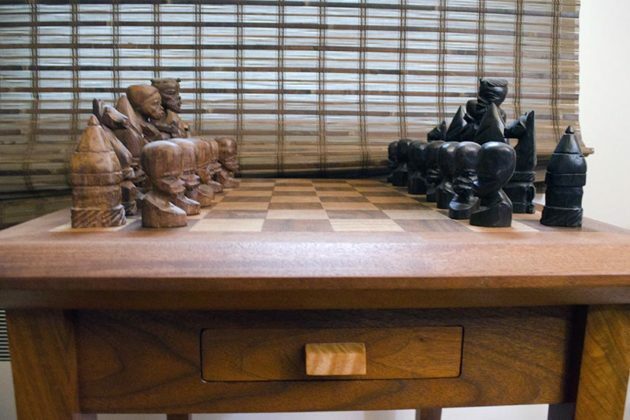 Decades later, after retiring from a career in the Marine Corps, he turned his hobby into a business in his Leeway Overlee home. 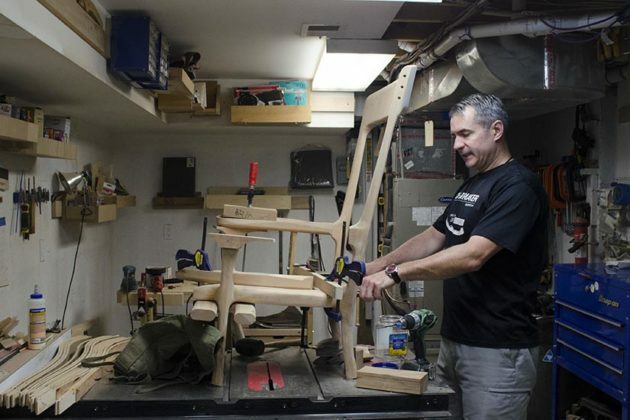 Since 2008, the 46-year-old craftsman has sold wood chairs, tables and other furniture he’s designed and built in his personal workshop. 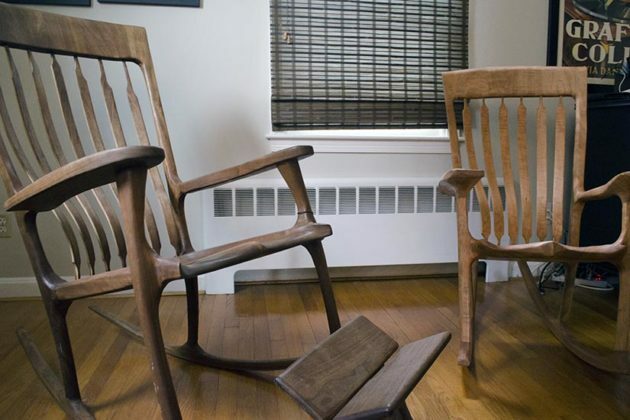 Spugnardi only uses walnut, maple and cherry wood to make his furniture, including chairs that range in price from $1,300 to $5,000. All the wood is from a Northern Virginia supplier. Spugnardi said he focuses on making comfortable furniture with character. He often adds special touches, like glow-in-the dark features, to his works. 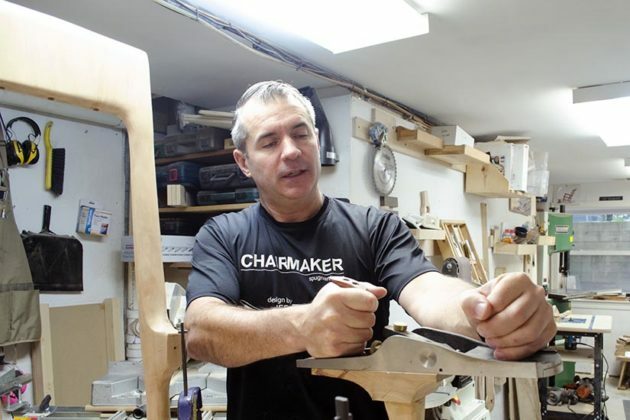 For his chairs, which take 80 hours to build, he puts in flexible back braces that are designed to conform to sitters’ backs. A 6-foot-11 man once commented on how comfy the chairs were and how he couldn’t find similar furniture for his size, Spugnardi said. Spugnardi said most of his customers are locals. His work has appeared at art shows in Reston and D.C. and regularly catches the eye of people in his neighborhood.